Ok honestly, I don’t have any excuses…..I just completely fell off of my healthy journey. During my brief hiatus, which I explain HERE, I had completely lost all motivation with the healthy lifestyle changes that I had started to make and was doing so well with. However, being that I can only Keep it UGLY, I have to be honest and say I have COMPLETELY gone off course and I can definitely tell the difference. When I was eating differently for that timeframe, I could sleep better, my skin was clearer, I was regular, I didn’t feel tired all of the time, I has tons of energy, I had minimal body aches, I rarely would get sick, it was great. BUT NOW I’ve had a cough for over a month, I feel bloated ALL THE TIME, MAJOR insomnia, my bones ache, my skin was drying out, it’s ridiculous. Well, I witnessed something with the world on Sunday night that knocked some sense back into me……two words……. Enough is enough!!!! Back at it again with the healthy living!!!! LOL! This is why I enjoy sharing my journey with you because this is as real as it gets. Most of the time you see people meet their health goals and then they get all on Facebook, Instagram, Twitter, YouTube, WHERE EVER and make it look so easy. I want you to see the struggle, the journey, the temptation. I want to be able to celebrate the fact that I resisted the urge to grab a cupcake instead of an apple. I want to be able to show how some days it’s hard to get up and workout. I’m a real person and I know there are PLENTY of people out there like me taking it one day at a time but we can do this!!!! I hope that you join me as I begin this journey……AGAIN!!! Tomorrow is September 1st….Day 1!!!!! 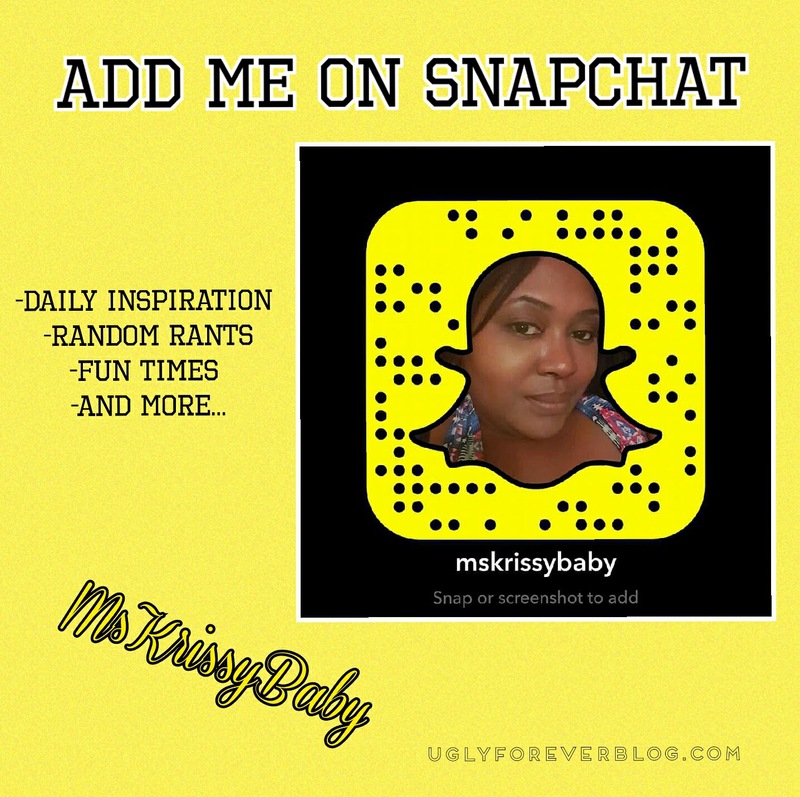 What I will be doing…..
Posted in Love Yourself from Inside Out.Tagged Achieve Your Goals, Aspirations, Beauty, Healing Wednesday, Health, Krissy G, Motivational, Self Esteem, Self Love, UGLYForever, Weight Loss. Next Post Fantasia Said it Best!!! !